This free online calculator will help you to find the area of a cylinder surface. Using this online calculator, you will receive a detailed step-by-step solution to your problem, which will help you understand the algorithm how to find cylinder surface area. is a three-dimensional geometric shape that bounded by cylindrical surface and two parallel planes (the bases) that cross it. The cylinder is called the right circular cylinder, if its base is a circle. 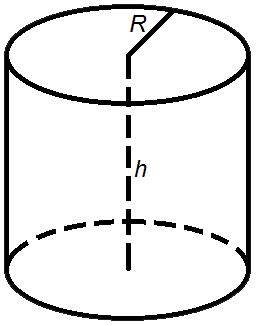 The distance between the bases is the height of the cylinder.